55+ elements UI KIT is a collection of, guess what, 55 elements that you can use in your everyday design workflow. It’s free for personal or commercial use. 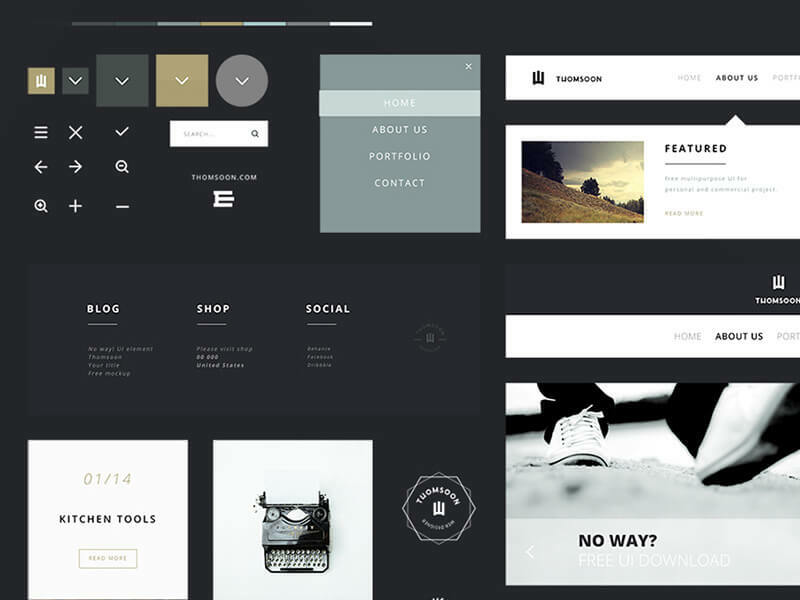 It comes with minimalistic design and clean icons and shapes. All elements are vector based and ready to be imported in Photoshop.